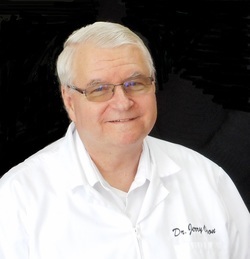 Dr. Jerry A Olson O.D., T.P.A. Dr. Jerry A. Olson, OD is a graduate of Waukesha High School. He attended the University of Wisconsin for pre-med studies and the Illinois College of Optometry for his doctoral, graduating in 1980. Dr. Olson, along with his wife, Sandy, have been constantly updating their private practice in West Bend since 1993. Dr. Olson is also licensed in therapeutic pharmaceuticals which allows him to treat eye infections and eye injuries. On his off time, he enjoys going for drives in his convertible and spending time at the lake with his wife and four adult children. Our experienced and friendly opticians, examination technicians, and insurance specialists have extensive training in their specialty and regularly attend continuing education to stay up-to-date in the latest technology in the field of optics. From the time you check in until the final dispense of your glasses, our optic professionals are eager to assist you every step of the way, from helping you understand your diagnosis and prescription to walking you through the multitude of lens options available today.